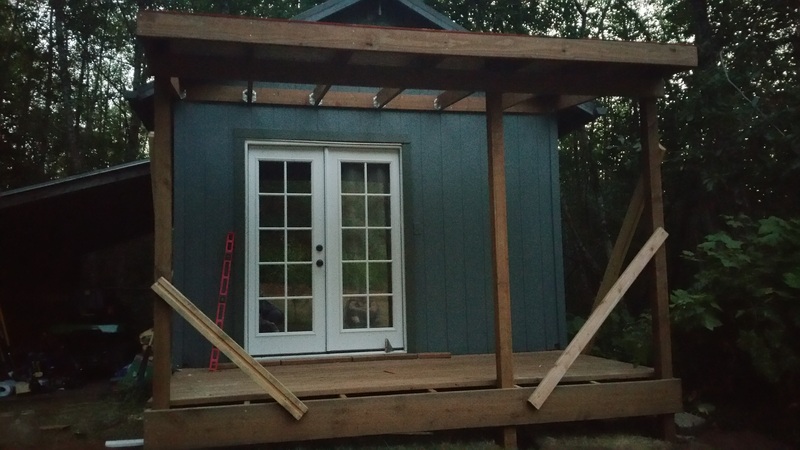 My wife and I have been dreaming about adding a covered patio to my office ever since we moved in a few months ago. I only helped a little since I had a couple copywriting deadlines I had to focus on today. But after work I did get to bang some nails and it felt good to do some “real work” with my hands.